The new flagship superyacht from Custom Line, the first Navetta 37, has been launched in La Spezia, Ferretti Group has announced. The 37.04 metre semi-displacement superyacht is one of the must-see new yachts at the 2016 Monaco Yacht Show. 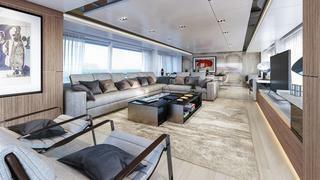 The interiors on the Navetta 37 have been highly customised, with the yacht's owners collaborating with the Ferretti Group. 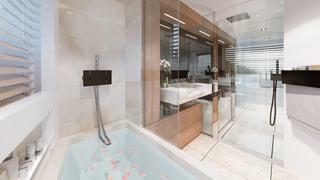 The master suite sprawls across the wide-body main deck forward, while four guest cabins are found below, lit up by enlarged windows. 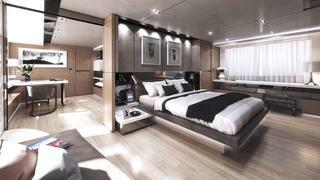 The saloon has floor-to-ceiling windows that open onto a starboard side deck. Custom Line says the Navetta 37 offers seaworthiness, comfort, safety and customisation in a product designed to be revolutionary in terms of style, design, and spaciousness. The Navetta yachts have been conceived for long-range, “go-anywhere” cruising and the 37 will be no exception, with a fit-out, range and tank capacities to ensure comfort, ability and self-sufficiency far from home. Despite being the big sister to the Navetta 33 and 28, the first Navetta 37 features a newly designed hull with a bulbous bow. 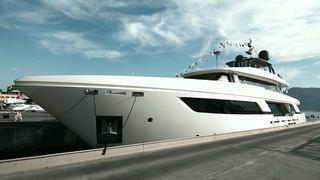 The yard says the brief for the hull, which has a 2.27 metre draught, was to ensure efficiency in any sea conditions. Among the notable features of the Navetta 37 are the large glazed surfaces giving the yacht what Custom Line call a “flawless stylistic continuity”. Elsewhere, the bow stem rises up to the first superstructure level, creating a strong profile as well as a drier ride in head seas and more room inside. The Navetta 37 features the split transom found on the Custom Line Navetta 28 and the Custom Line 108, which makes it easier to launch a tender and also creates a superyacht beach club. 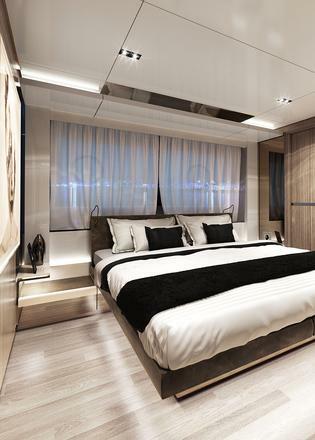 Custom Line says the Navetta 37 is the result of close cooperation between Ferretti Group’s Product Strategy Committee, the Research and Development department, and Studio Zuccon International Project.